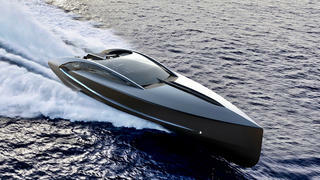 Performance, luxury and innovation come together in the latest dramatic concept from yacht designer Timur Bozca. Sarco is a 19 metre dayboat that incorporates a blend of automotive and yachting elements. 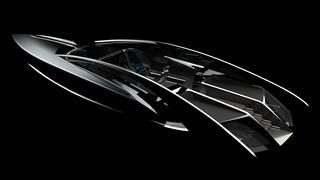 The dramatic exterior styling draws its inspiration from the head of the pre-historic crocodile Ferocious Sarcosuchus. Sarco would be built from carbon fibre to offer a high degree of torsional stiffness, as well as allowing for a more sculptural superstructure. The sharp prow is carefully delineated from the curvy rear to create a stance that is imposing but not intimidating. Meanwhile, the windshield design aims to deflect airflow around the sides, ensuring guests in the cockpit enjoy a smooth cruising experience. The deck layout is minimalist and symmetrical, with two aft sunbeds separated by a central companionway that leads into the cockpit with its central helm station and twin L-shaped seating areas. 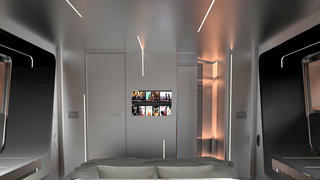 Below decks, Sarco would feature a full-beam owner’s cabin with OLED lighting and a crisp, modern interior décor. Bozca adds that his 19 metre dayboat would be fitted with twin MTU V10 2000 M94 units for a top speed of 53 knots, meaning it could hold its own among the world’s fastest superyacht tenders. 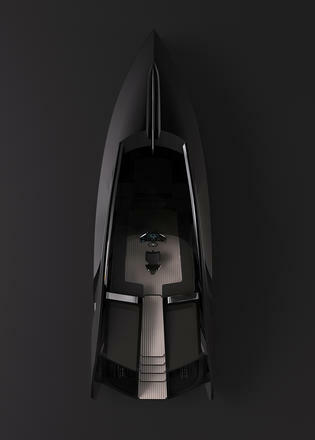 The engines would be showcased in a pair of glass cabinets so that guest could admire the sheer power of the drivetrain. A former Young Designer of the Yeard award winner, Bozca is one of the key speakers at the 2017 Superyacht Design Symposium. Previous superyacht concepts to come from his Milan-based studio include the 70 metre Black Swan, which was revealed in June 2016.